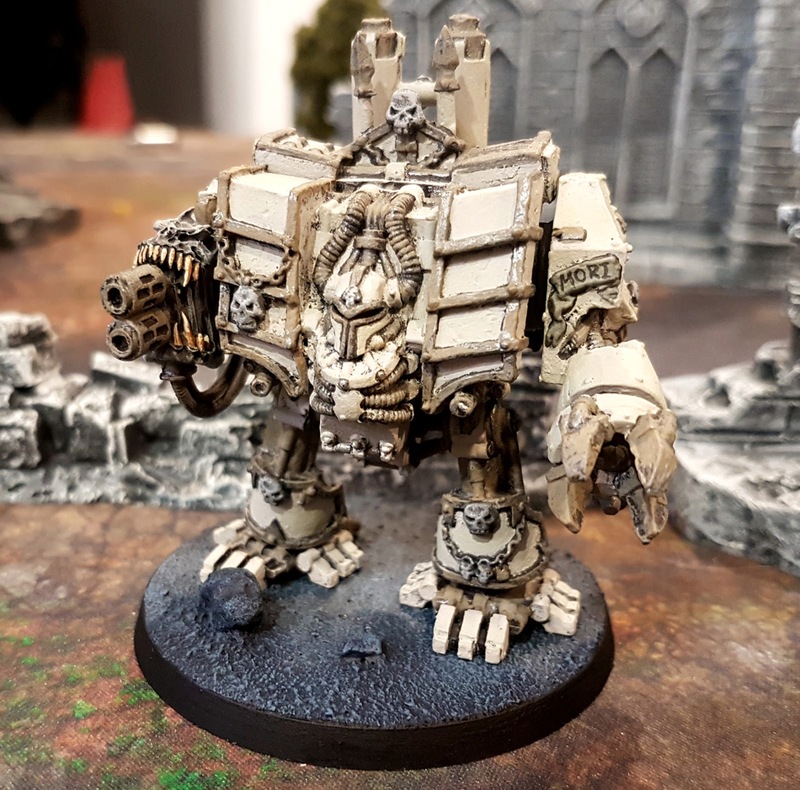 Like my Pewter Great Unclean One, this old Chaos Dreadnought is one of the original models that I bought back in 2003-2004. 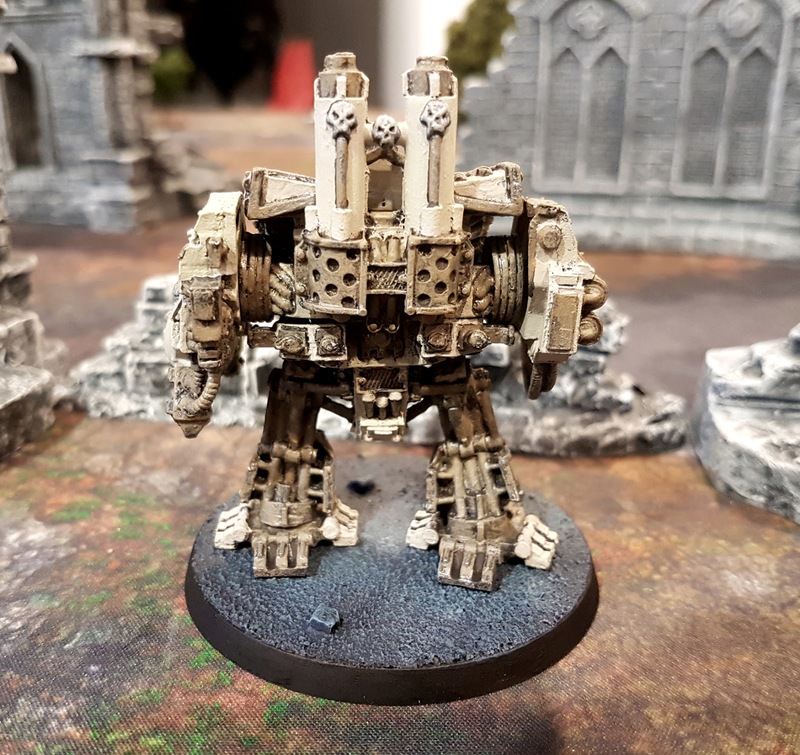 Like most models from Warhammer 40,000 2nd and 3rd Ed all Dreadnoughts were solid pewter back in the day, making this fella a hefty model on the tabletop. 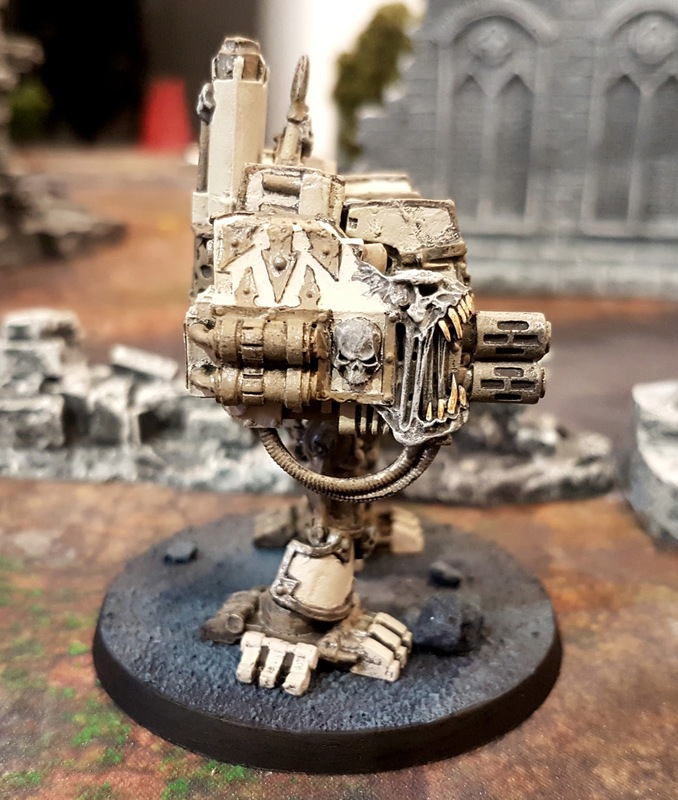 Even back in the day, and with the exception of a few Forge World pieces like this Multi-Melta above that were considered quite good, the Chaos Dreadnoughts were thought of as looking a little goofy looking. And frankly my terrible painting and conversion skills back in the day did nothing to add to the model's aesthetic. When I pulled this guy out of my old chest of 40k models he was in a sorry state. The above picture is after hours of removing terrible look green stuff blobs, and bits of Tyranid spikes that were haphazardly super glued in place. However, after a 24 hour bath in some concentrated simple green cleaning solution and some scrubs with a toothbrush he was practically brand new! Ok, so it was almost as good as new, but it was certainly good enough to bring back to life! Originally I had planned to paint this guy up as a Black Legion Dreadnought, however 8th Edition was a huge change up! and now my Death Guard army has plans for no fewer than three Dreadnoughts in some builds, so this guy was conscripted for the purpose. The Black Legion will have to wait. So it took me a bit to get it together, but I finally had the time and motivation to sit down and finish this guy once and for and honestly it was really a joy to paint. Call it a combination of nostalgia and a genuine love for old Games Workshop Minis but I had a blast painting this guy! The angles and sculpt were quite fun to work with and it was a treat to slowly see the model go from drab to fab. 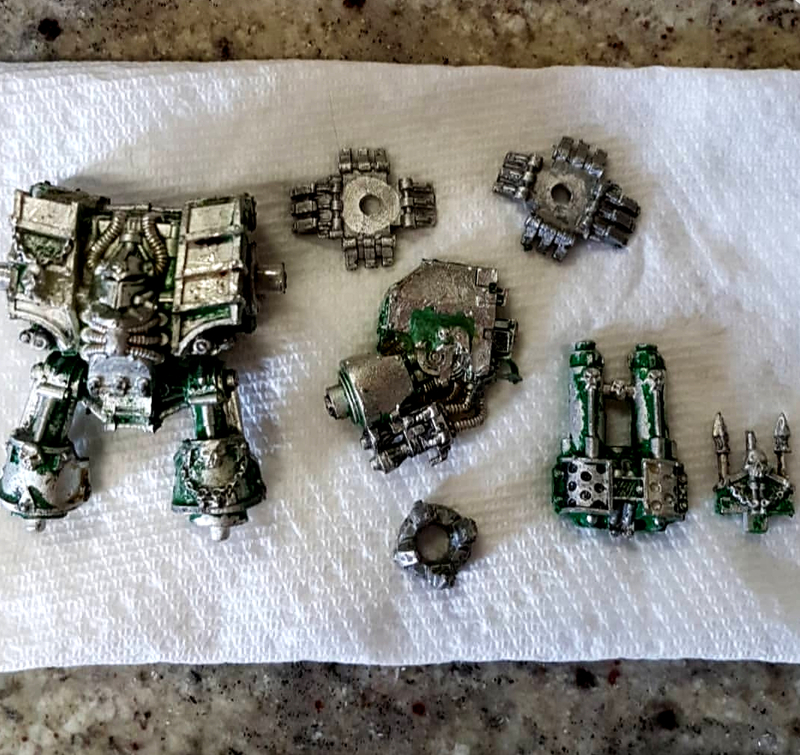 So that is how I recovered my old Pewter Chaos Dreadnought , which I guess are called Helbrutes these days. But honestly, even though it has been years since they changed it, I still think that's kind of a stupid name. 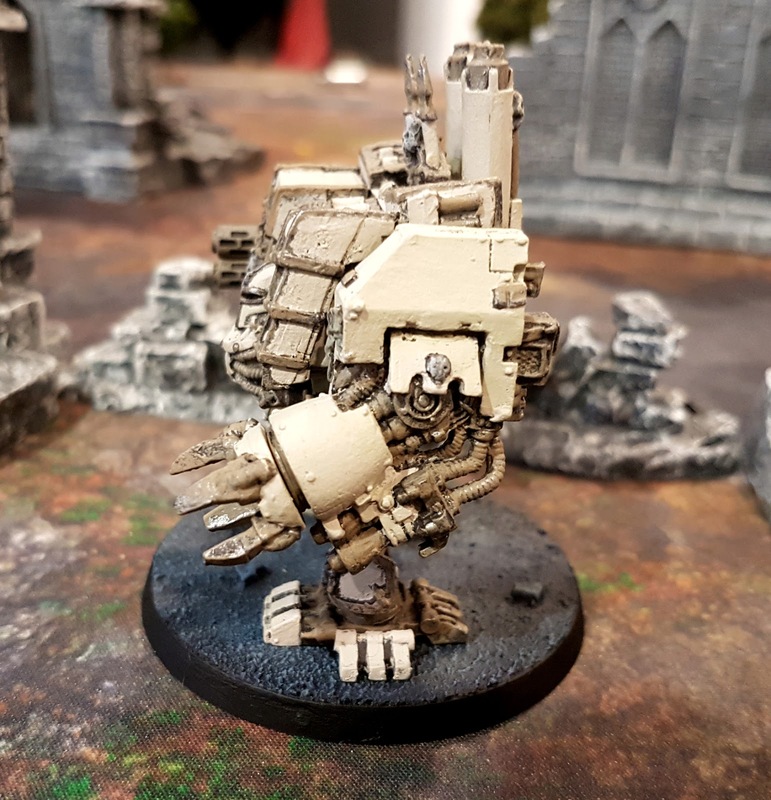 Like Chaos Rhino's are still called Rhinos, and Chaos Land Raiders are still called Landraiders, so why are the dreadnoughts now something different? And why did they have to pick the goofiest name ever? But Anyways! That's my third Chaos Dreadnought. 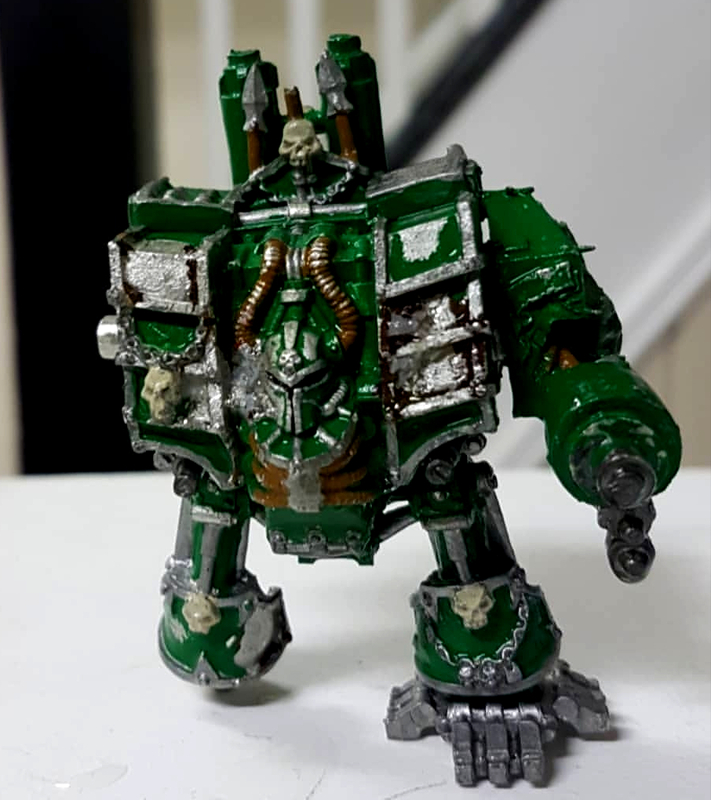 Up next I have the second discontinued Forge World Plague Marine Dreadnought and I really can't want to paint it! P.S. The word "Mori" as seen on the banner on Dreadnought Fist means"To Decay" in Latin. And that is according to my Sister Sarah who has studied Latin and can Read for her PHD in Medieval Studies. So I am honestly just taking her word for it. Lol!